Mecca Max had recently fulfilled every girl's dream by bringing out their very own stunning range that is also kind to our wallets (averaging $20 a pop). This out of the world party took place at Dominik Mersch Gallery, this is the first Mecca event I have ever attended and I was in makeup paradise. Before we start, I just wanted to give a special thanks to Tashi from Teacup of Makeup for taking me along to this fabulous event and of course to Mecca Maxima for hosting the evening! As soon as we entered the venue we were instantly attracted to the gorgeous Mecca Max products sitting on display cases - oh that new makeup feel! With a phenomenal 206 products launching across makeup and base, there ought to be a product for everyone. Mecca babes provided us with "Mecca Money" so we can head to the product shelves and purchase products we would like to take home. What happened when we ran out of Mecca Money to spend? There was a cash grab machine, similar to "Are you ready to get sticky with Mickey" in 'Matilda' but without the sticky. It was an ingenious idea, how often would you ever come across one of those in your life time? We spent a solid few hours looking at all the new releases, awing and ahh-ing at the eye shadow palettes. There were quite a few products that had a strong hold of my attention (which I ended up taking home), including Mecca Max Triple Threat Face Shaper Cream - $30. I have always been curious to try a cream bronzer, blusher, highlighter trio and this was the perfect opportunity. This gorgeous trio is available in both powder and cream formula. Your girl loves a good bronzer and when I saw Mecca Max Sunlit Skin Bronzing Powder - $22, I knew it was something I wanted to take home. I use bronzers all year round, after doing some excessive beach tanning as a teen, I learned the hard way and decided bronzing powder is the way to go. Mecca Max Eye Max Power Couple Mascara - $38, made my jaw drop, it's the perfect mascara for girls with smaller lashes and is now one of Mecca Max's best seller and I am not surprised. This epic duo ended mascara comes with a standard sized wand on one end and a tiny little wand on the other. I have seen small wands in a lot of Japanese and Korean branded mascaras, however this is the first time I have come across a pocket sized mini-spoolie being sold by an Australian brand. This is such an exciting launch, whilst you get the best of both worlds, if conventional wands are too big and unable to reach your smaller or lower lashes this may possibly be your go-to. Beauty stations were also available for a casual or professional touch up with one of the Mecca's Makeup Artists. Below is a peak of the shopping station, this was just a small section and let me reassure you that the this area was packed the entire evening. I usually sign off with a food photo, but I was like a kid in a candy shop and had way too much fun playing with all the makeup that I did not get around to take a proper food photo (I know, this is a first!). So leaving you guys with a GIF of Tashi and I holding the things we love most! Dr Hauschka's Make-up Launch took place at The Grounds of Alexandria with special guest, Karim Sattar (Dr Hauschka's International Makeup Artist and Global Ambassador) who travelled all the way from Hamburg! Before we go into details about the function, let me tell you an interesting story about the lead up to the event. I was unable to make it to Dr Hauschka's event and contacted my back-plan who agreed to cover the event for me, however she ended up being extremely unwell a couple of days ahead of the launch. My plan fell through and I caved by asking my partner to attend, I was expecting a "HELL NO"... he is well versed in attending food events and had attended a couple of beauty events as my plus one but he has never attended a beauty event on his own. Dr Hauschka is an internationally renowned organic brand carrying both makeup and skincare products. The launch marks and highlights some of the new makeup products that is suitable for different eye colours. Karim showcased and demonstrated new face/eye palettes, mascara, brow and lip products as you can see on the beautiful model. Oh and did you take a moment to admire Karim's brush kit?? Another important fact you need to know about Dr Hauschka is that Palm Oil is used in Dr Hauschka's Cover Sticks only, they source organic Palm Oil from a certified source in South America. We have both avoided purchasing and using products with Palm Oil (which is in a lot of snack foods) from South East Asia because Orang-utans are dying/losing their home for human consumption, I am really glad that Dr Hauschka as a brand is aware of this matter and had found an alternative solution to ensure sustainability. The set up for the event was absolutely beautiful, The Grounds of Alexandria couldn't have been a better pick for the launch. My partner learned a lot of make up techniques from Karim's fantastic demo and even had some applied to his face by Karim! Lily not Louise attended this event as a guest of Dr Hauschka. FREEZEFRAME BRAND FOCUS - READ TO SEE WHAT WORKED! I have been going to bed at approximately 12:30AM -1AM on a daily basis for the past week. It's been a busy week with work and events. For the past 3 weeks I have been trialling Freezeframe products mostly during the evening. I remember when Freezeframe first landed in Myer, it was a brand that I have always being interested in but never had a chance to try. If you would like to know my thoughts and what the hero product(s) is, keep reading! Revitaleyes is designed to treat chronic puffiness, dark circles and deep wrinkles. The gel-like balm instantly erases signs of ageing for a smoother, brighter upper and lower eyelids. At the same time, moisturises and energises the tissues. The product claims to be effective over an 8 week trial where at week 8 the clinical fading of under eye circles is complete. Revitaleyes uses the Botox Alternative to reduce wrinkles. I can't tell you whether this product is effective in treating wrinkles because I am extremely lucky to be wrinkle free around my eyes. I experience very occasional dark circles, however the under eye puffiness is the bane of my life, it's more prominent under my right eye. The under eye area becomes puffier with age and I believe it's genetic.... both my parents suffer from it and inevitably so do I.
I THINK I have noticed some de-puff which you can see in my eye photo further down the post. However I can see puffiness. I will keep using it and see if I notice any significant changes. This is an instant under eye bag eraser, it boosts collagen production, elastin production and hyaluronic acid synthesis. Boost Serum increases oxygen uptake in the skin, boosting your skin's metabolism and delivering nutrients to your skin. According to the website, this product is best designed as a pre-treatment product to increatse the effectiveness of active ingredients in the products you layer on top. This is such an interesting product as the gel like formula excretes from the side of the rollerball which I had been using to roll/massage the product on. A full pump is more than enough for both under eyes and eyelids. The effective was as it specified, immediate. Within a minute my under eye puffiness lessened. I was SO shocked. I have previously purchased an instant under-eye product to temporarily erase puffy eye bags for my mum, it worked for a couple of hours and she started to experience trails of white on her eye bags. I expected this to do the same. And to my ardent surprised, there were no visible white trails. I used this product in the evening a couple of times and decided it was best used during the day. The tightening effect weakens after a few only, ensure you apply a full pump. These eye masks are probably the most effective I have come across since the Estee Lauder masks. I love how the mask covers the top of my eye lids - this is a preventative measure I need to take as there is a family history of sagging lids! Once I applied the mask around my eyes, there were a lot of left over serum in the packet. I just used it on my face - no wastage in this household! The packet did indicate leave the last on for 10-15 mins... but I like use leave it on for 20-30 and take it off before it starts to dry up. My under eye area looked so refreshed and I feel that the puffiness under my eyes reduced. I know it's pricey, but this is my hero product from the lot. I have 2 pieces left which I will save to use before weddings! This product claims to give you longer looking lashes in just 2 weeks. For the first few days I was applying the serum ONTO my lashes, I was silly and thought I knew how to use the product without reading the directions. You actually apply the serum day and night like you apply eyeliner. However, you must not allow the serum to contact your eyes directly. I Accidentally swiped a small part of my eye ball once, I did not experience any stinging sensation, however I went and rinsed my eyes immediately. So be careful, the brush slips easily. Also note that my lashes are super straight... so it's hard to tell, also I am wearing a bit of eyeliner just above my top lashes in the before photos. You can also see some under eye de-puff. This is the first time I have tried a product to create a fuller lip. I am overall quite happy with the size and shape of my lips so I have never invested in a lip plumping product. The product comes in a syringe like tube with a flat yet slanted rubber applicator, a cream like product is pumped out of the tube, you are able to control the amount that will come out. Once applied all over my lips I experienced a cooling/minty/tingling sensation I felt my lips plumping up and it did appear slightly plumper for a short period of time. The box indicated for users to use the product on a daily basis to see better results. I am probably not the best person to test this product as I don't really want my lips to be any bigger! Freezeframe Night is a new formula that contains 2 topical micro injection technologies, both clinically proven to visually match those of injections. Topical line filling equivalent to a collagen injection and topical wrinkle freezing with visible results rivalling Botox Injections. It creates face lifting effects, bringing skin structure back to a babies skin in less than 3 months. Claims the effect of a collagen injection after 15 days, botox injection after 28 days and mini face lift after 84 days. I have been using this cream every evening for about 3 weeks, I've been putting it on my boyfriend as well. As someone in my 20s I don't personally feel like I need injections, botox or a face-lift. I have fine lines on my forehead and this product did seem to prevent further development, however it did not eliminate the lines completely. I have never had any injections so I don't really know what to compare it with. A very novel and interesting product. Upon first contact, it is a gel like formula with little white beads. When you start rubbing it into your skin the soft white little beads burst during application allowing a white colour to seep through. As you continue to rub the product into your face or skin the shade begin to adjust to my skin colour. It does hide my pores and works similar to a tinted moisturiser with very light coverage. Upon application, my skin appears flawless and smooth with my pores barely visible. I really like the finish, it's dewy and natural looking - excellent for good skin days. Be cautious around your brows because I had bits get stuck there. I really like this product, the only thing I dislike is the alcohol-like scent. Below is a series of unedited and unfiltered swatches. Have you tried any of the above? Let me know your thoughts or what you are interested in! A part from winter coats, boots and hot chocolate. I dread winter. My skin dries up, my hair goes untamed and I lose my colour while the UV ray is up the roof. I recently attended an event taking a peak at the newcomers from Fudge Hair and St Tropez. The event took place at the Mona Vista, a stunning rent house with a million dollar view. We were introduced to Fudge upstairs and a masterclass on tanning downstairs. To find out what's new, keep reading! 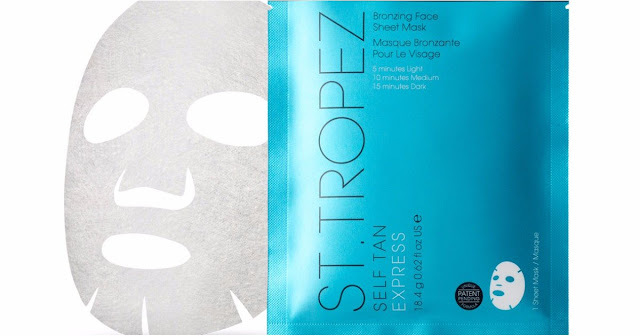 The three St Tropez products we went through were quite exciting. The latest tanning innovation with advanced skincare benefits to tone, firm and moisturise skin whilst adding a healthy glow. This product will retail for $35.99 available from David Jones, Myer, Priceline and leading salons from September 2017. This product utilises a 360 degree nozzle that will allow you to stay at any angle, even upside down! Making it easier than ever to self tan your back. It's formulated with intelligent shade technology which will allow you to select your depth of tan by choosing when to was off the tint. This product is will retail for $49.95, available at Priceline from September 2017. This is a quick fix tan for a HD skin finish. It will provide you with an instant glamorous glossy effect. You can apply this to on bare skin or self tanned skin for a touch of illuminating bronze. Apply this to accentuate your legs or to highlight key areas of the body that would naturally catch the most sunlight. This product is a global tanning first, a fusion of Korean facial sheet mask with self tan. This mask will revitalise your complexion with an ultra hydrating dewy glow that will even out skin tone and develop a long lasting golden tan on your face. 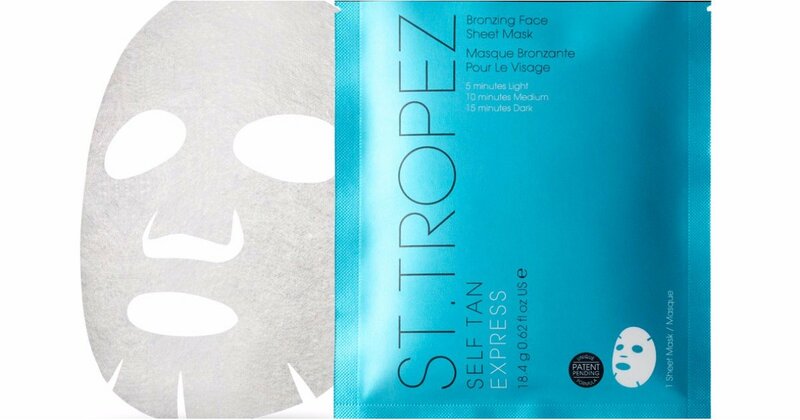 It is a single use sheet mask that will provide a streak free, even finish. This is a hero product for all my blonde friends, this toning blow dry spray with professional strength violet micro-pigments which instantly neutralises brassy tones in to cool, clean blondes. Formulated with invisi-shield technology, this triple action spray provides heat protection up to 235 degrees to defend against heat-induced damage and brassiness. Signing off with a food photo! Did anything take your fancy from the new range? Lily not Louise attended this event as a guest of St Tropez and Fudge Hair. This year my focus had shifted from caking on thick layers on foundation (and making myself up to the point I am unrecognisable - even though my partner feel this was never the case, I did) to ensuring I have clearer, healthy and glowy skin. My focus is now to have clear and good skin, which means cleansing... a lot of cleansing and good skincare. I was recently sent a selection of Biore cleansing products. Cleansing items are probably one of my MOST frequently used products so I was excited to trial them. To find which is my hero product and why, read ahead. I have been using this product 1-2 times per week. It comes out in a grey gel like formula with small orange granules. I like to massage the content on my face with my fingers in circular motions. This product gives off a very strong minty-cooling effect, I have seen a lot of charcoal products but have not used enough of it, so this was definitely an interesting experience. I would recommend for user to avoid eye contact and ideally stop below the orbital bone. I went higher than the orbital bone once and it was so minty my eyes couldn't handle it. While I no longer experience regular break outs on my face, I would still occasionally experience acne on my back so I have been using it as a back scrub! It does help dry up my back acne but it comes back every now and then. Not sure if it's a hormonal or dietary thing. Baking soda is a fantastic powder, as a teenager, a lot of people had recommended me to use baking soda with honey to rid my acne. Instead I went with an aspirin mask and regretted it immediately. This scrub is similar to the charcoal acne scrub however will not give you the same minty/cooling effect. I find this scrub to lather and bubble up better than the charcoal scrub and more gentle on the skin. I imagine this would be a good product for those with more sensitive skin. While both products provides a decent scrub, I still need to use a chemical exfoliant to rid the dead skin that collates over the week. I love that this cleanser come in a pump bottle, it is just easier and more convenient for me to use as I do most of my cleansing whilst I am in the shower (it's all about being efficient, right?). This charcoal cleanser will give off the a minty/cooling effect, it contains small and lesser granules than the scrub. It also foams/lathers better than the charcoal scrub. I feel that this product is more effective as a second cleanse when all your makeup is washed or cleaned off so it can reach your pores. As a cleanser I feel that it did an ok job, I liked the cooling effect and it's decent considering the price point for everyday use. This is hands down my favourite product out of the lot. The single satchels are always a win, the pack will allow you to create a nice thick layer on your face. Once the product is nicely spread, massage with your fingers for a minute. The content self heats upon contact!! How cool is that!? The mask itself feels a little bit tacky and thick, but once I was ready to wash it off my face, I stepped into the shower and the mask washed off with ease. My skin and pores felt clean and refreshed! I wish there were more satchels in a pack, out of all products, this is my hero product. Do you have a favourite Biore product? The products featured were provided for editorial purposes.